These are only a few of the accolades layer at North Carolina’s capital and surrounding Wake County. So why are the county’s teachers resigning from their jobs in record numbers this year, a 41% increase over last year’s mid-year resignations, according to an April 17 article in the News & Observer. In a recent press conference, held at Underwood Elementary school, district leaders reported that 612 of the county’s 9,000 teachers have resigned during the current school year (that’s 1 out of 14 teachers). By this time last year, only 433 teachers had resigned. The most mentioned reason in the News & Observer article was money. 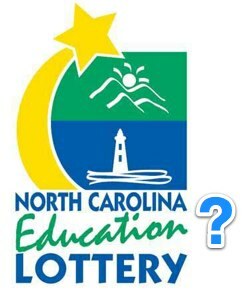 North Carolina is 46th in teacher pay. Teachers in this state have received one raise since 2008. Stam mentioned an increase in teacher retirement as a big reason for the increased resignations. True that 142 of the 612 mid-year resignations were taking early retirement — experienced teachers leaving the profession. Where’s the good news in that? Regardless of the claims of school officials, politics almost certainly played in to the press conference. Teacher raises will be part of the General Assembly’s (re-election) business this term, even though the newly adopted state tax plan leaves little room for higher salaries for NC teachers. Governor Pat McCrory (Rep) has proposed a $2000 raise for first year teachers, quickly touting the $200 million it will cost tax payers. Underwood Elementary has lost five teachers this year. Two had lost their homes to foreclosure and one was living on food stamps. As we lose record numbers of experienced professional educators, the number of students entering the UNC system’s schools of education declined 7% in 2013. Raleigh’s North Carolina State University expects 18% fewer enrollments this year in its school of ed. ..unless dismantling democracy-born public education is the plan of a conservative government–supported big business desire to turn our children’s education into a profit-driven market place. Hui, K. (2014, April 17). 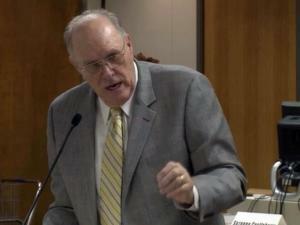 Wake County sees ‘alarming’ increase in teacher resignations. News and Observer. 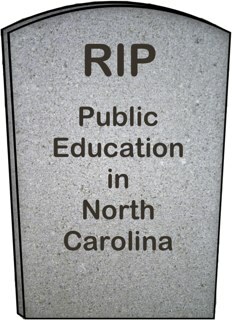 Will Public Education in North Carolina Rest In Peace? You may see more politically-focused writing from me in the near future. Though I’ll continue to write about education, certain developments here in North Carolina and in the United States have me concerned about the future of public schools and the future of democracy. People and businesses have moved to Wilson to take advantage of the new network and even some who initially opposed it are now strongly supportive. One of its most avid and vocal supports has been Branch Bank & Trust (BB&T), a major employer in the town. 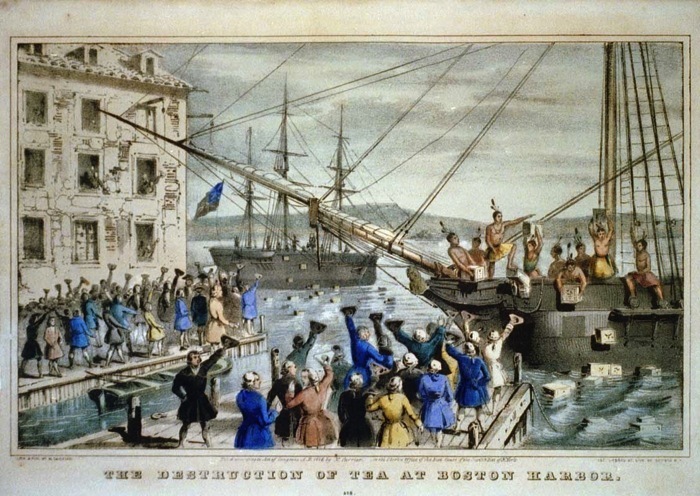 That same year, North Carolina’s legislature, which had just won Republican control for the first time since reconstruction, passed House Bill 129, called “Level Playing Field/Local Gov’t Competition.” The law effectively stops local governments from competing with telcos by preventing them from establishing their own common-good broadband services. 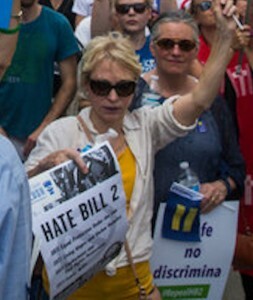 Backed by Time Warner, AT&T, CenturyLink and the North Carolina Cable Television Association (NCCTA), and more than a million dollars ($1,159,930) that they donated to state legislative campaigns – and supported by the American Legislative Exchange Council (ALEC) (O’Boyle & Mitchell 2013), the law follows a disturbing trend in this state – the legislative takeover of local governments’ authorities to implement taxes, enact environmental regulation and manage their own landfills, water infrastructures and airports, to mention only a few. 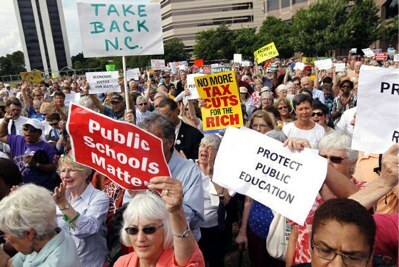 On another front, our General Assembly, further empowered by the obscenely funded 2012 elections (infographic to come) that resulted in a Republican Governor and more conservative ALEC influenced legislators, has set about what I can best describe as the systematic discrediting and disassembly of public education in North Carolina. Ironically, the Fayetteville newspaper web page cited here also displayed this Google ad urging readers to consider becoming school teachers. During the same legislative session, state law makers, seeking to save deserving children from our “failing public schools,” appropriated $10,000,000 of taxpayer money to award $4,200 vouchers to families so that their children can attend private schools. The program grows to $40,000,000 the second year. Portrayed as a “way out” for low performing public school children, a fiscal note that accompanied the original bill (House Bill 944) showed that 30% of the children receiving the vouchers were going to be attending private schools, even without the vouchers. If we might follow the purpose and practice of this regressive regime down a few more legislative sessions, it may not be too extreme to envision a law that prohibits local towns and counties from providing public schooling for their children. The tax which will be paid for [the] purpose [of education] is not more than the thousandth part of what will be paid to kings, priests and nobles who will rise up among us if we leave the people in ignorance. 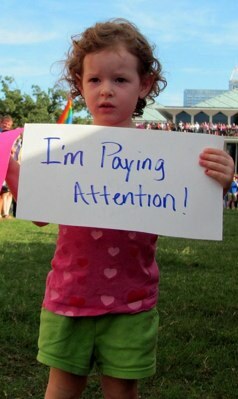 Author David WarlickPosted on August 2, 2013 August 4, 2013 Categories education, politics, shakabuku, teachingTags bluenc, broadband, education, OpenGov, OpenGovernment, politics4 Comments on Will Public Education in North Carolina Rest In Peace?